Posted on March 21, 2019 at 8:27 pm. Between 8.2 and 15.9 million Americans have a vision problem that could be corrected and over 140 million Americans over the age of 40 experience vision problems. March is Save Your Vision Month and to prevent problems with your eyes, or keep problems from getting worse, it’s important to get regular eye exams. There are some other things you can do as well to keep your eyes, and the rest of yourself, healthy. On Health Happens, our weekly Facebook Live show, we talked with Dr. Stacey Spaulding, an optometrist at Bryan Vision Associates. She led us through what happens in a typical eye exam and says eye exams are a quick and easy way to not only keep tabs on the health of your eyes but your overall health as well. She also says that children’s eye exams are very important to track any changes as they get older and identify problems before they become more serious. We should all be going to the eye doctor at least once per year, starting at age 3. Some other things you can do in addition to annual eye exams to keep your eyes healthy include eating the right foods and using the right protection. Drinking green tea and eating a full rainbow of fruits and vegetables rich in antioxidants, like vitamins C and E, lutein, and zeaxanthin help protect your eyes. To further protect your eyes, you should also use protective goggles when doing repairs at home, playing sports, and doing things like snowboarding or skiing. When outside, wear sunglasses and a hat. Exposure to ultraviolet rays can deteriorate vision over time. It’s recommended to wear sunglasses that block 99% of UVA and UVB rays. Dr. Spaulding says if you spend a lot of time outdoors it’s good to wear sunglasses with lenses that are polarized to reduce glare. There are also filters for glasses that filter out blue light – the light from phones and computers. Speaking of looking at our phones and computers, it’s important to give your eyes breaks. Take time to blink your eyes and every 20 minutes take a break to look up and focus on something in the distance for a few sentences to give your eyes time to relax. If you wear makeup, Dr. Spaulding says you should replace tubes of mascara and eye pencils every three months. They can be a breeding ground for bacteria. It is ok to use eyeliner on the base of your lashes but always use it outside the lash line. Using makeup inside the lash line can block oil glands. Replace eye shadows yearly and don’t share your eye cosmetics. Your eyes can also shed light on other health issues that may be going on inside your body. Many health issues can be identified with a comprehensive eye exam. Eye doctors are often the first provider to suspect a diabetes diagnosis, which can be seen in changes in the retina. Hypertension, elevated cholesterol, and stroke risk are also able to be detected by looking at the blood vessels in the eyes. Different types of cancer may spread to the eyes and be detected along with skin cancer by looking at the skin around the eyes. 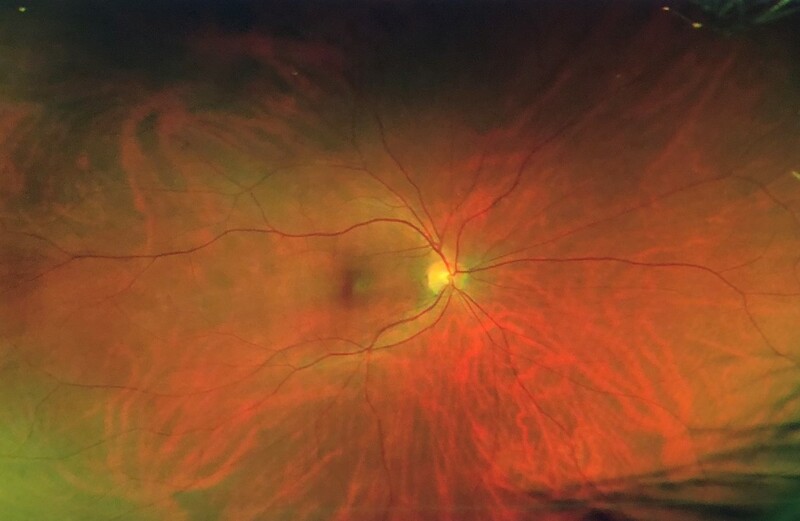 An inflamed optic nerve can be an indicator for multiple sclerosis and patients might experience pain in eye movement. The eyes are a window to many health conditions that may not show symptoms early on. You can get a free vision check at the 9Health Fair, click here for a list of fairs and which screenings are being offered. No time to exercise? You can do these exercises anywhere!